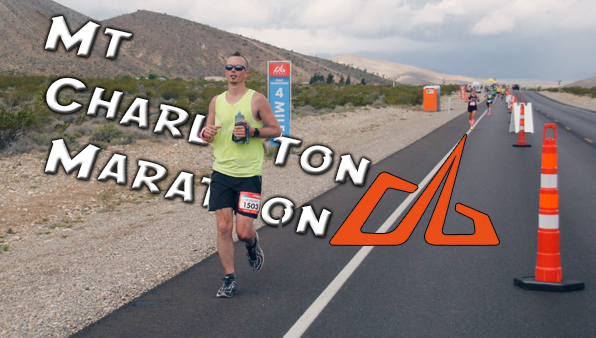 Here we go, this weekend is the 3rd Revel Mt Charleston Marathon, in the oasis in the desert, Las Vegas! Most runners will taper from high mileage weeks, down to race day in a rather logical manner. On April 14, I ran my first 50+ mile ultra, the Aravaipa Running Whiskey Basin 88k. However, I felt great right after the race, as well as now, my legs are feeling ready. I am hoping for another PR (personal record) in the marathon distance on Saturday. No matter how many times one runs 26.2 miles, you must respect the distance! My dream goal, as always, will be to get a Boston Qualifying (BQ) time. For my age & gender, that means I need to run a 3:10 just to hit the bare minimum time. In reality, I need to run a 3 hour, or sub-3 hour marathon to be certain I get a good enough time. To all the other runners heading down the mountain on Saturday, for both the Revel Mt Charleston Marathon & Half Marathon – run well & finish strong! Be the first to comment on "Revel Mt Charleston Marathon This Weekend"